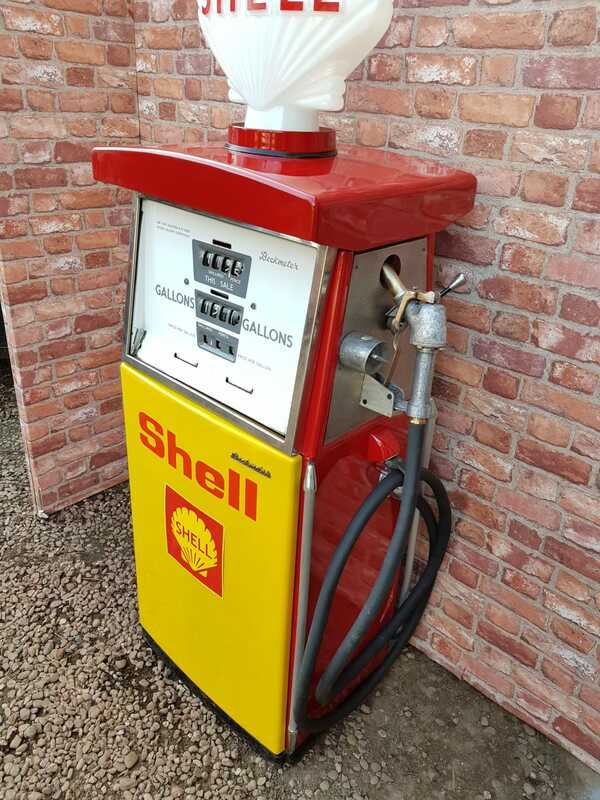 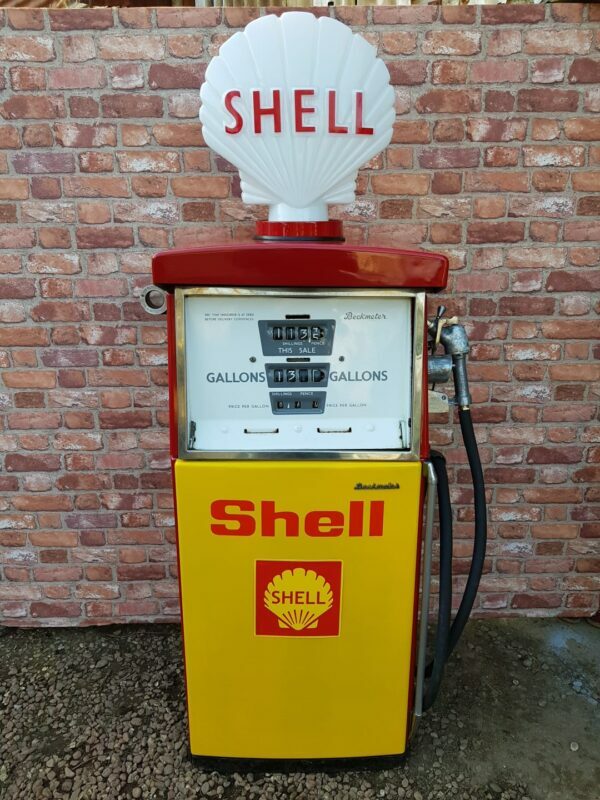 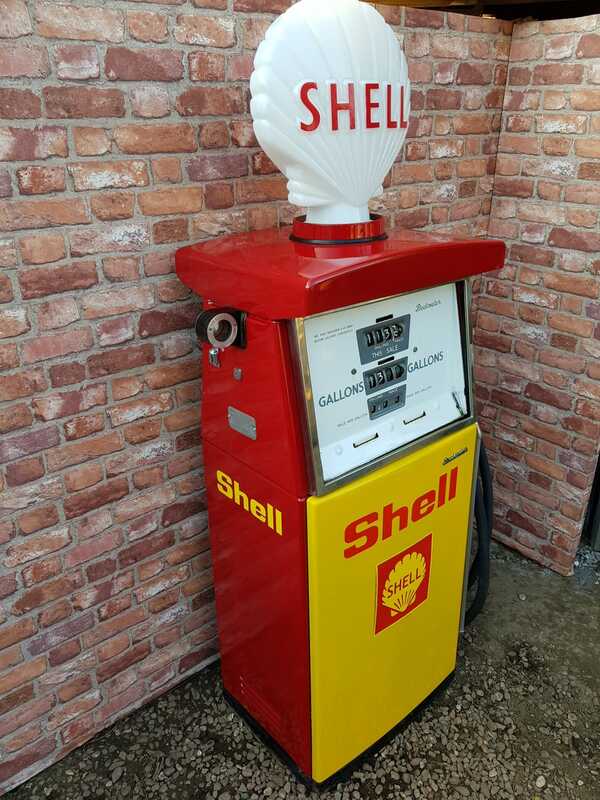 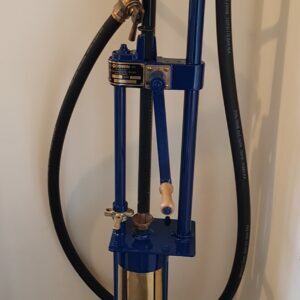 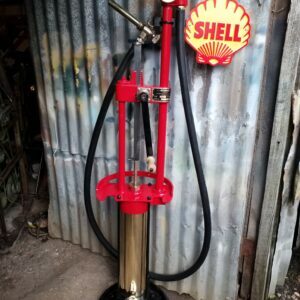 1970 Beckmeter model M60 Shell petrol pump. 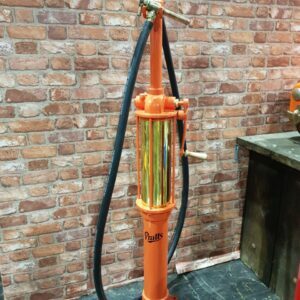 Good small size pump that has survived well. 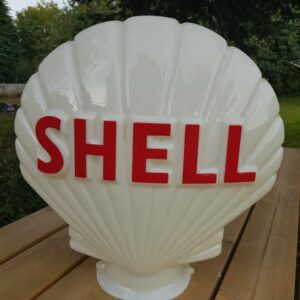 Still carries its equipment tag inside for Shell-Mex & BP Ltd. Now restored in it’s stunning original red and yellow Shell livery.